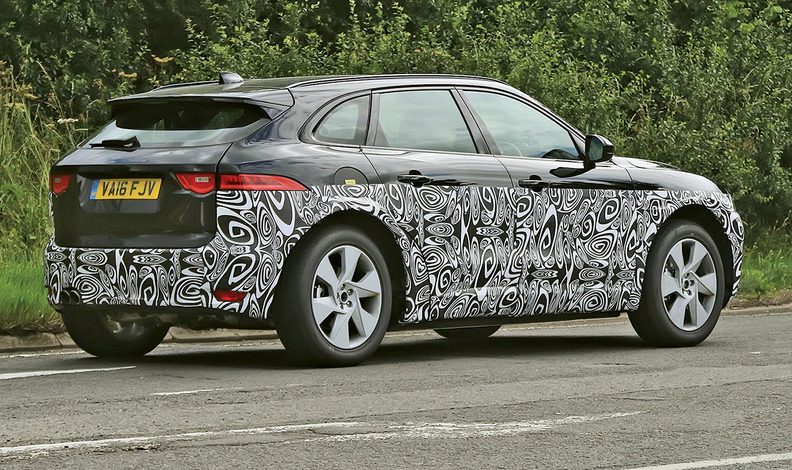 Spy photos signal that Jaguar is far along in developing a crossover larger than the compact F-Pace that went on sale in late spring. The so-called J-Pace is expected to go on sale in 2019. The crossover could ride on a stretched F-Pace architecture that would make it similar in size to the Audi Q7 and Mercedes-Benz GLS. The J-Pace may also come in short- and long-wheelbase variants. The grille is different from that of the F-Pace, and the rear overhang is shorter. 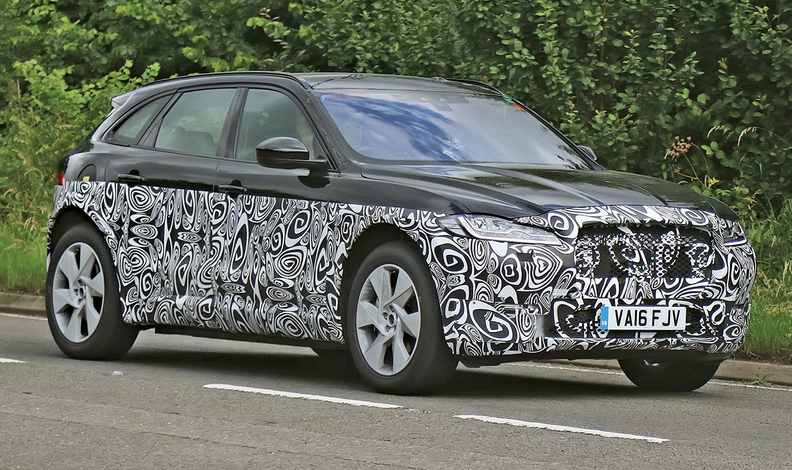 The J-Pace may use Jaguar's aluminum-intensive construction. There's some talk about giving the large crossover a hybrid diesel-electric powertrain.